"We regret that president Obama and the U.S. administration have made such a decision." 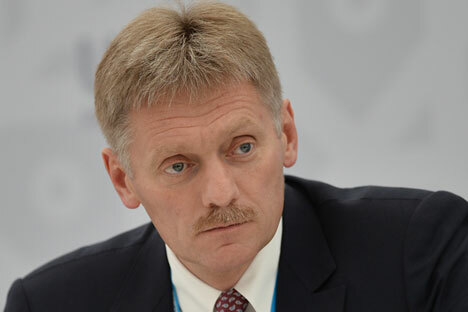 The Kremlin believes that new sanctions imposed on Russia by the U.S. over alleged cyberattacks against U.S. elections are unfounded, and rejects allegations against Moscow, Russian Presidential Spokesman Dmitry Peskov told reporters. "As we have already said before, we believe such decisions, such sanctions to be groundless and illegal from the point of view of international law," Peskov said. "We reject such unfounded allegations and accusations against Russia." Peskov commented on U.S. President Barack Obama’s statements and the U.S. administration’s decision to impose new sanctions on Russia. "We regret that president Obama and the U.S. administration have made such a decision," Peskov noted. According to him, the Kremlin has been assessing these statements. "We are analyzing the details," he added. Russia will give an adequate response to the new sanctions, Peskov said. "So far I cannot say what the response will be, although, as we know, there is no alternative to the principle of reciprocity. Of course, an adequate response will be given," he said, adding that the retaliatory measures will be determined by the Russian president.